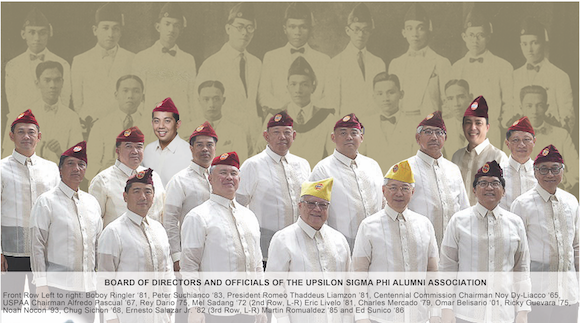 Founded in 1918, Upsilon Sigma Phi (ΥΣΦ) is the oldest fraternity in Asia. 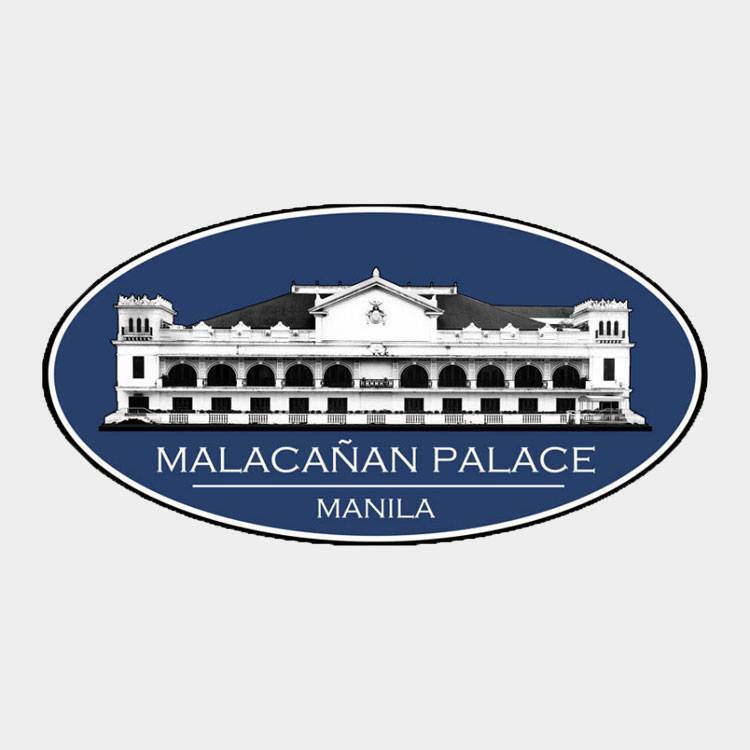 Based in the University of the Philippines, it has had an unbroken and singular association with the premier state university. It currently has two chapters — a combined UP Diliman/UP Manila chapter and a second one in UP Los Banos. 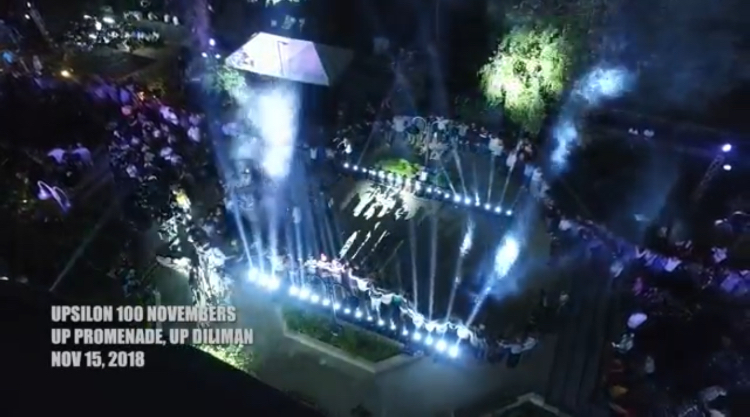 From the start and through its 100 years of existence, Upsilonians took it upon themselves to continue the tradition of excellence and leadership that the university was founded on. 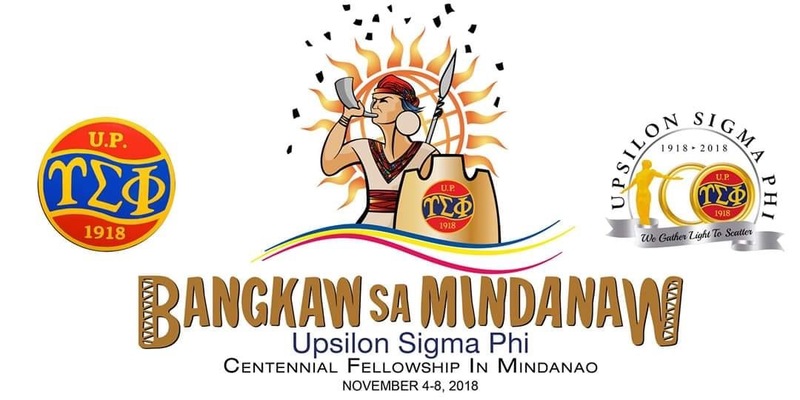 Celebrating its 100th year, the members of Upsilon Sigma Phi honor its long history and look forward to upholding its legacy by continuing to scatter its light to the nation. Towards the next 100 years! Quo Vadis? The modern history of the Philippines is deeply tied to that of its state university, the University of the Philippines; and the history of the University is intricately entwined with that of its oldest and most prestigious student organization: the Upsilon Sigma Phi. 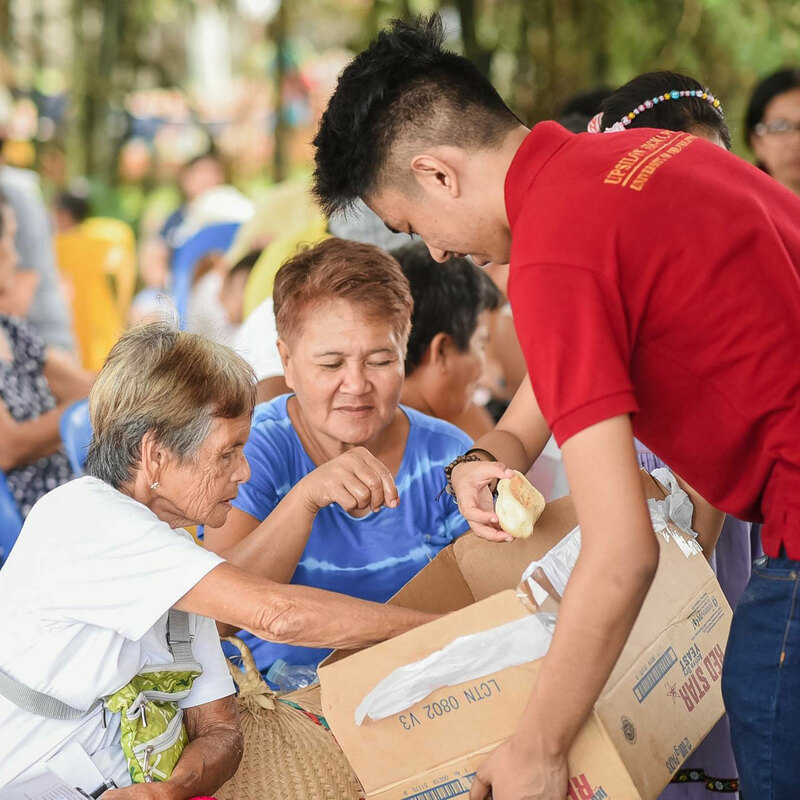 No complete story of my country can be written without touching on the crucial roles that the University of the Philippines and the Upsilon Sigma Phi have played in shaping the Philippines – for both the University of the Philippines and the Upsilon Sigma Phi were committed to using the gift of knowledge to serve and transform society. 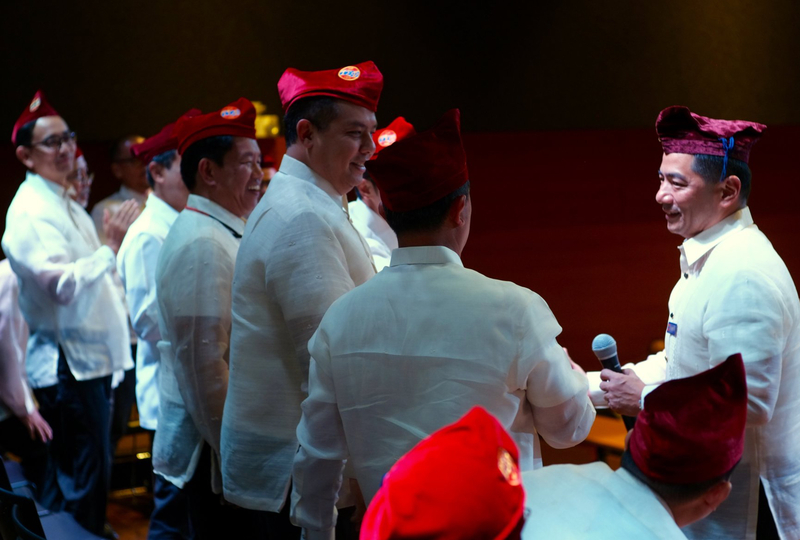 Born from just a few years apart, they were there when the Filipino people strove to build the key pillars of a sovereign nation. They helped draft the fundamental document that enshrined our deepest values and hopes for the future as a democratic country. Today they stand boldly on the vast frontiers of a profoundly changed world, of a deeply transformed nation. And I am sure they will do the university and the fraternity proud.